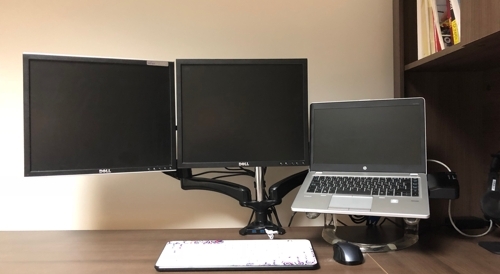 Having many monitors on your desk can improve your work by providing more screen area to display applications and data. But the counterpart is the space the monitor bases consume on your physical desk. 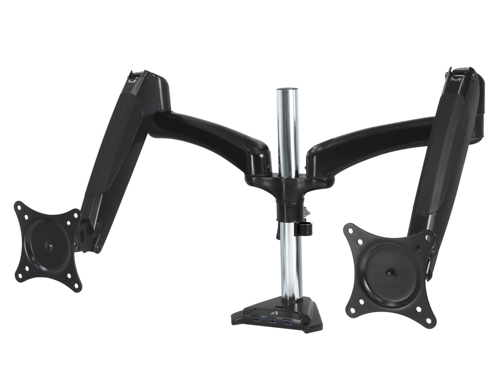 The Z2 – 3D from Arctic is a dual monitor arm that will greatly improve your work area. When I received the arm, the first thing that I was faced with was the weight of the parcel. The product is built with very solid and heavy material. 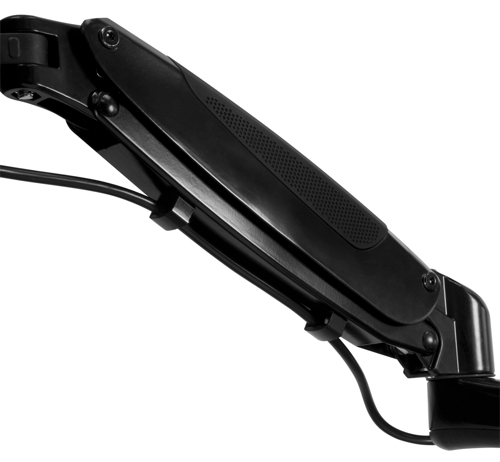 Considering you may have a large monitor, it’s reassuring to know that each arm can support up to 8 kg (17.6 lbs). 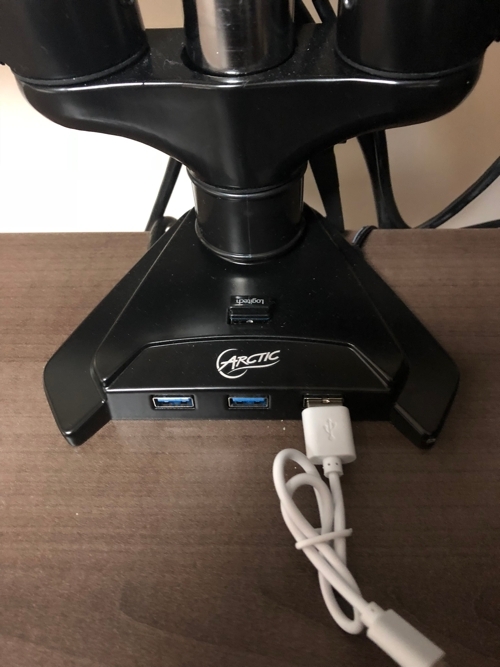 The base is also very solid when attached to the desk, and it adds a nice four port USB 3.0 powered hub right where you want to connect a USB keyboard or mouse. Assembling the arm took a relatively long time, maybe over an hour, but the provided instructions were clear enough to make it easy. 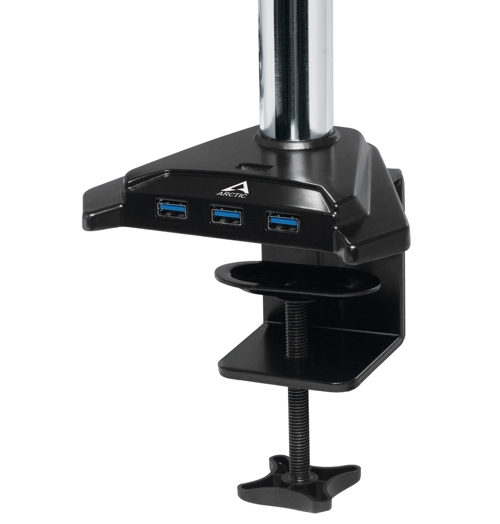 The monitor mounts are VESA 75 and 100 compatible, which should cover all VESA compliant displays on the market. Some additional screws and spacers are provided in the box in case your displays have particular mounting requirements. Once built with the monitors attached, it took me a while to have the displays properly aligned to my needs. I have two 19 inch LCD displays, and the horizontal size of them is a bit high for the possible extention of each arm. 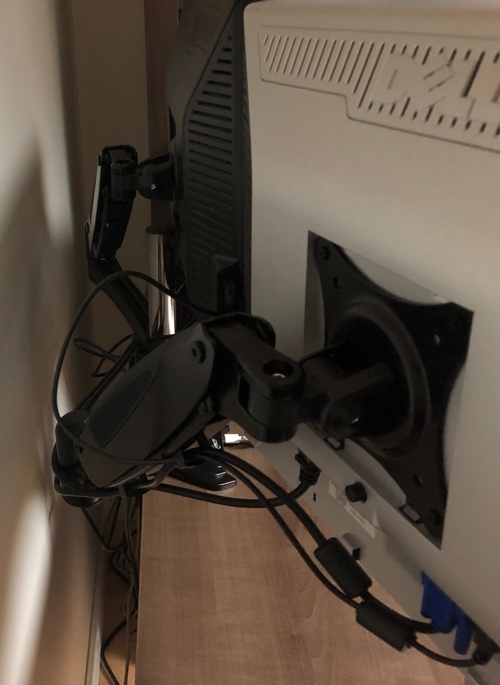 With the tight space between the wall, the arm, and the monitors’ rear, making the fine tuning adjustment was not as easy as I expected. But I finally was able to put the displays to a comfortable height and position. 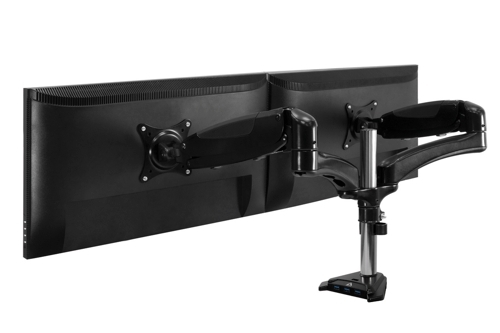 The Z2 – 3D dual monitor mounting arm is very solid and I would not be afraid to attach two 27 inch monitors to it. I guess that with larger displays it would be even simpler make the final adjustments as the arms would be more extended and easier to position.